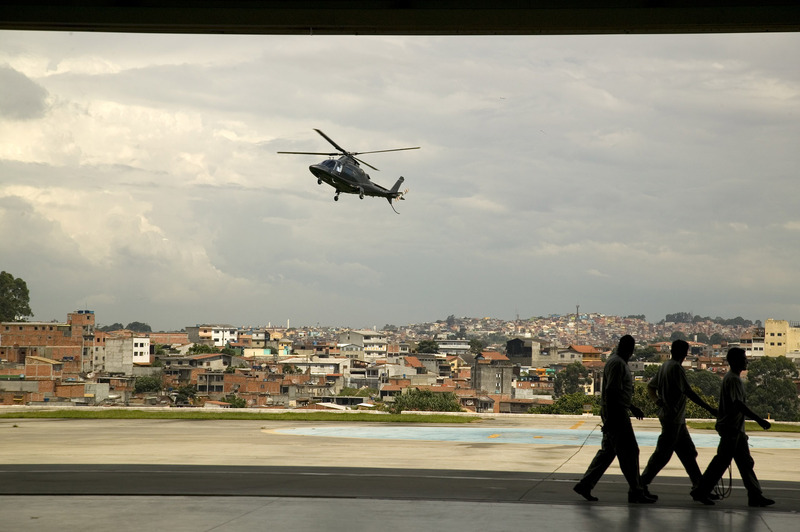 In 2008, there were 420 helipads in Sao Paulo. 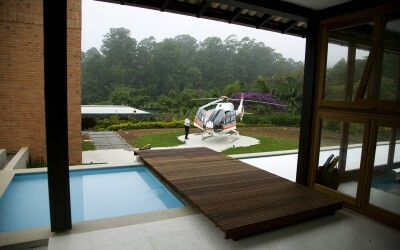 This was 50% more than the whole of the UK. 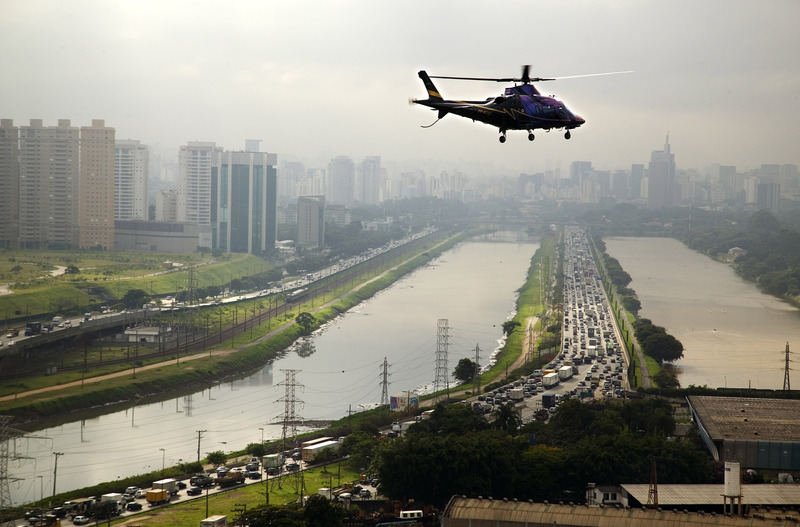 Sao Paulo’s chaotic traffic, with its 6 million cars, oppresses and complicates even more the ordinary citizen’s frantic life in this Latin America’s busiest city. 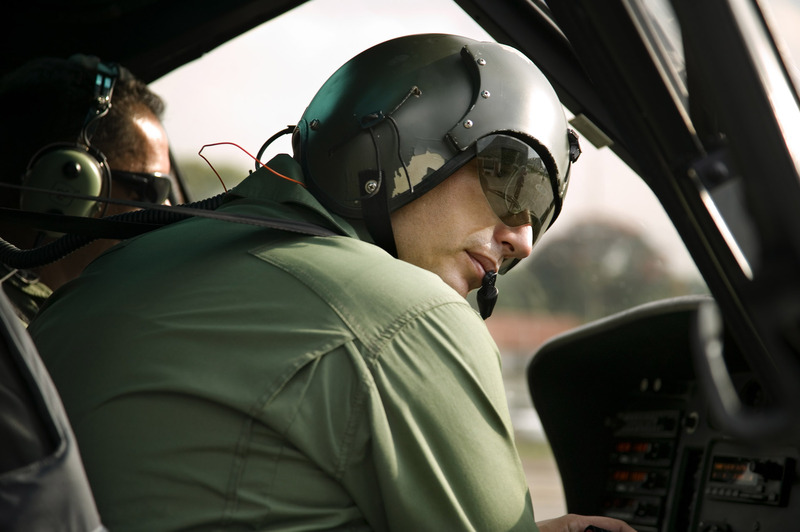 Those with the means take to the sky. 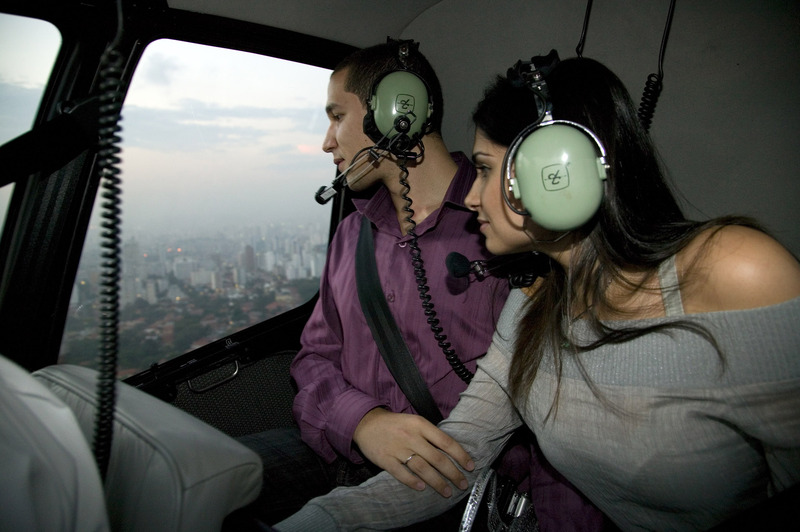 Within central Sao Paulo there were at least 70,000 helicopter flights each year, whereas in Battersea London's main heliport, there were only 11,000 annual flights and landings. 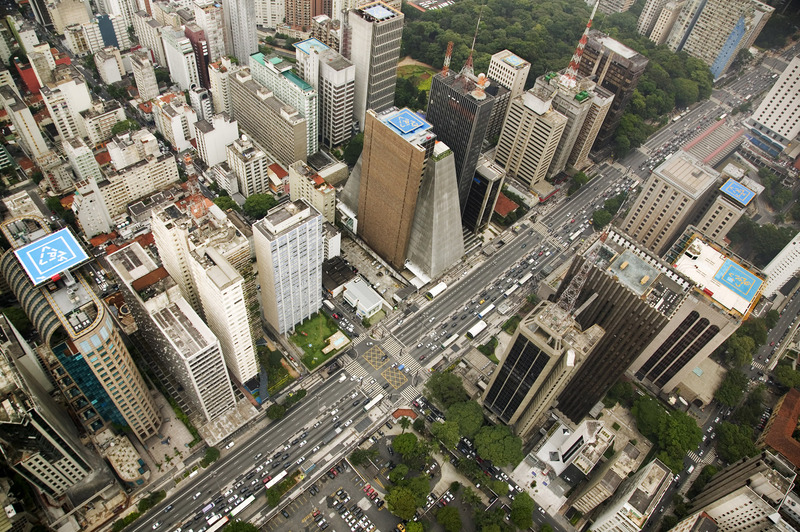 It takes only 7 minutes to fly from Alphaville, an up-market residential area at the outskirts of Sao Paulo, to Avenida Paulista, the financial heart of the city. 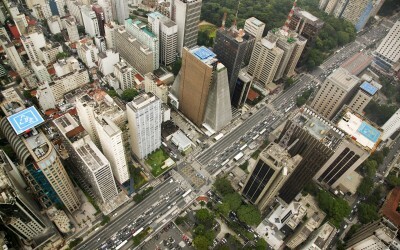 By car the same distance can take up to 2 hours during rush hour. 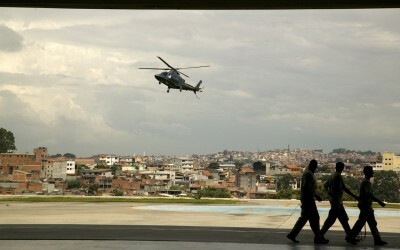 Avenida Paulista boosts the highest concentration of helipads. 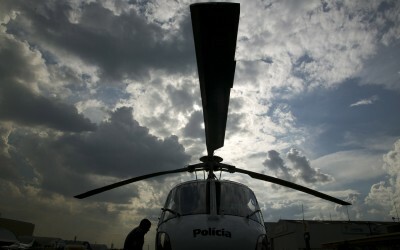 The Helicopter pilots, who serve the growing number of flying businessmen, report that they are requested to pick a passenger in one helipad at the top of a skyscraper and drop them on another helipad across the road. 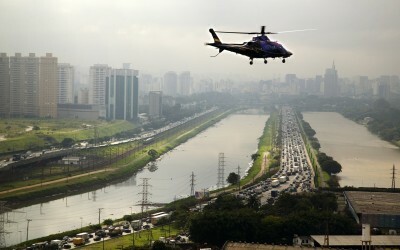 Top executives claim they have too much to risk by moving around the city overland, because of the time spent in endless traffic jams and because of the alleged risk of kidnapping. 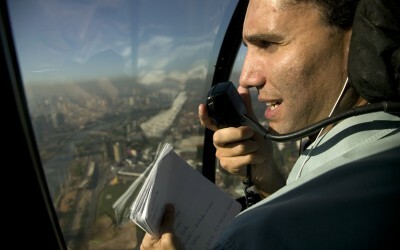 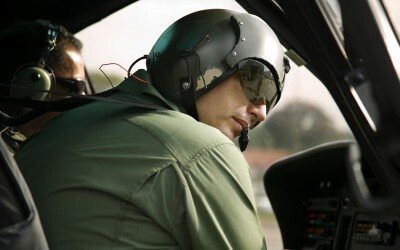 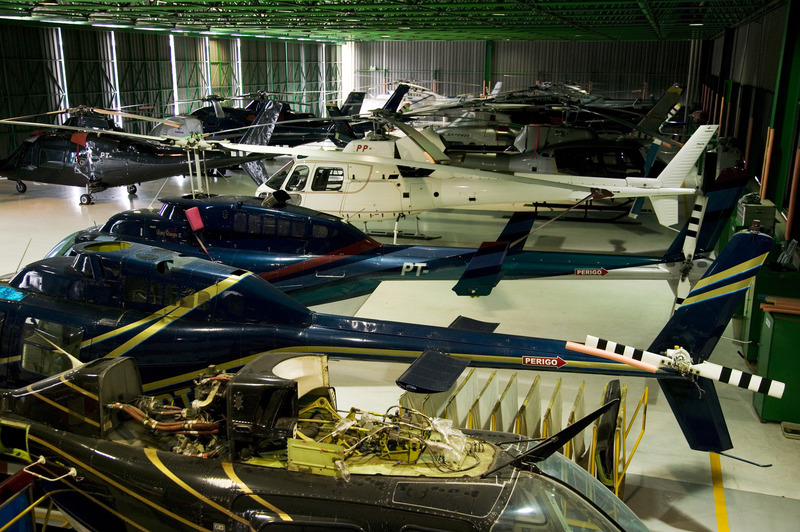 For the 820 helicopter pilots working in Sao Paulo, each earning up to $100,000 a year, this is a promising business. 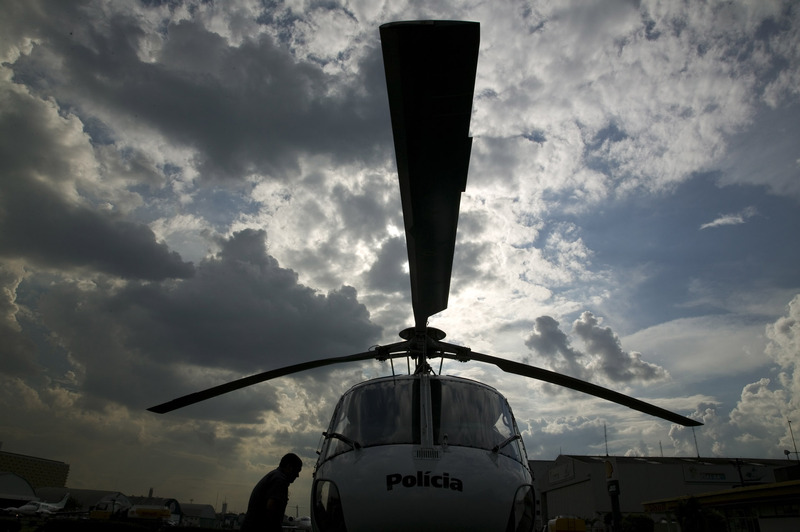 It is not only the high flyers of the business world which are making use of these noisy flying machines; of the 500 helicopters registered in Sao Paulo in 2008, 13 belonged to the police. 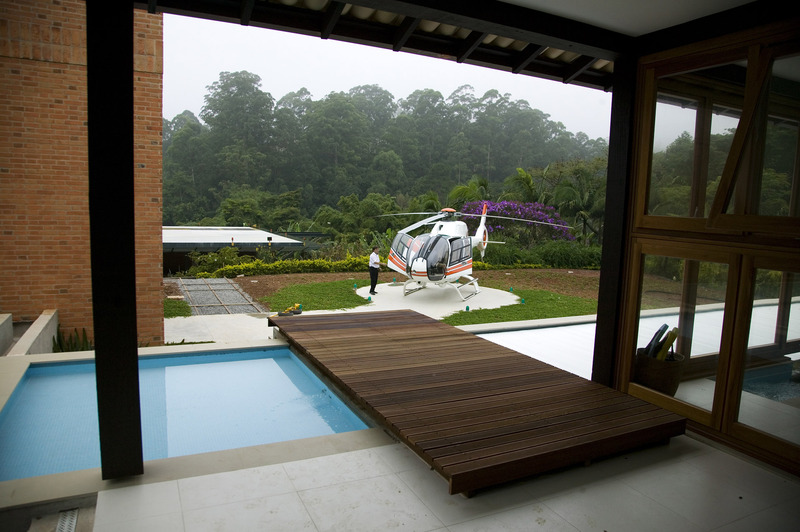 These are known as the Aguia helicopters and they do all sorts of missions, varying from rescue to raids. 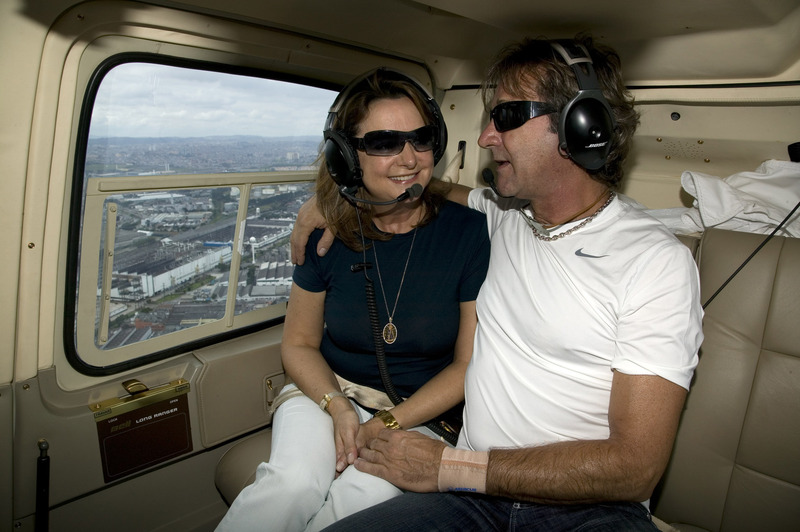 Media reporters, holiday makers, romantic couples, shopping addicts, security companies, new-church bishops, extravagant millionaires, are all being lifted by a growing fleet of rotor-suspended vehicles that guarantee them the privacy, the speed, the security and the impunity they need to keep going.